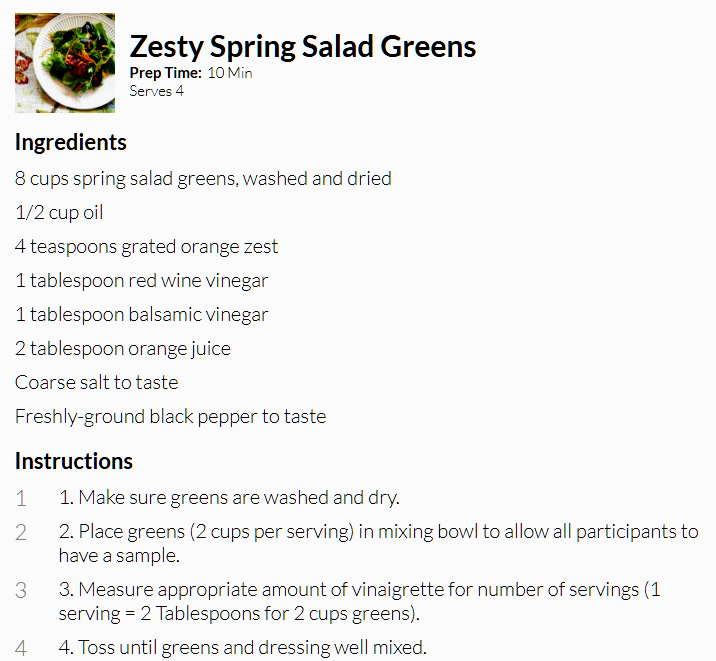 Discover something new this week by trying these Zesty Spring Salad Greens as a healthier alternative to the usual meal options! One idea is to get friends or family involved in making them and make it a fun experience for everyone! All Washington State SNAP-Ed recipes are community tested by regular folks just like you and me! Every effort has been made to create recipes like this one that are nutritious and easy for everyone to prepare.